All you need to do is to mix 5 simple ingredients into your parenting style, then let go of the 'dough' and watch your kids grow. 1) First, preheat your oven with the power of a Positive Attitude. 2) Then make the dough with the principal ingredients of Unconditional Love and Acceptance. 3) While still kneading the dough, pour in lots of Deep Presence and Attention till the dough feels nice, solid and non-clingy. 4) Just before you put it in the oven, brush your buns over with a nice layer of Respect and Dignity. 6) After they've cooled off a bit, serve them with Positive Discipline Stories and Positive Quotes on Discipline. Okay, that was the simple positive parenting recipe. Now, let's roll up our sleeves and start our conscious parenting journey. Discover the Power of a Positive Attitude! 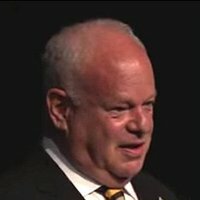 Philosophically, positive parenting is inspired by a relatively recent branch of psychology, positive psychology coined by Martin Seligman. Nurturing talents and abilities that are already there. Building on strengths which will lead to empowering adults and building high self in esteem children. In this way this parenting style is focused on 'building' and supporting in order to make kids blossom rather than repressing them in order to control them. Mindless Obedience, No, Thank You! Even though we abandoned the strict Victorian Age more than 100 years ago, we're still terribly scared of 'producing' spoiled children. 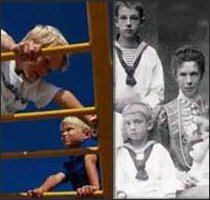 This common fear of uncontrollable, misbehaving and spoiled children has made many parents 're-adopt' old fashioned child discipline techniques to create instant obedience in their children: "You do as I say, no discussion!" or even worse, the threatening version: "You do as I say, or else ...!" The result of this authoritarian parenting style is very short term in the sense that, yes, you might get instant obedience but what about the skills that make us conscious human beings? What about the important skills of questioning non-sensible concepts, having the opportunity to make sound choices and taking on the responsibility of living with the consequences of our choices? These really important human skills are left very little space for growth, which is a real pity! 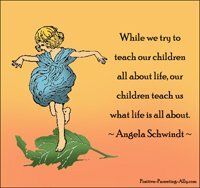 Positive conscious parenting on the other hand is not about exercising rigid control to get our kids to obey mindlessly. No, in a sense the aim of this parenting style is much more long term. Besides showing respect and empathy for 'the little person', the aim of conscious parenting is paving the way for happy and conscious adults. Being aware of this insight and consciously using this knowledge in your parenting is the most effective tool you can have. Because what you give your child (a positive attitude, a positive focus etc.) 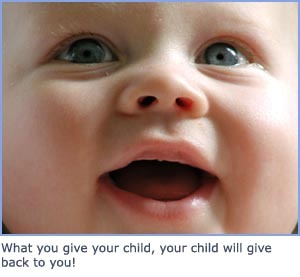 will be what your child will give back to you! It's really very, very simple! Your positive attitude and unconditional acceptance will literally rub off on your child and make your child feel accepted and good about himself or herself. The mirror effect is so strong that it's simply impossible for your child not to be affected by it. Therefore positive parenting does not encourage yelling, spanking, making threats, talking down to etc. Because the mirror effect will teach your child that: "This is how I should treat other people when I'm upset or feel I can't cope - I'll just 'squash' what's in my path and force my way through!" 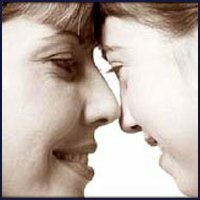 No, positive conscious parenting turns the traditional parenting discipline upside down by focusing on that which we actually want our child to feel and learn: like unconditional love, acceptance, respect, understanding and so on and so forth. 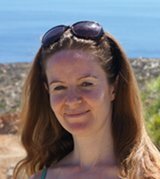 Rather than punishing 'bad' behavior (for instance, yelling at our kid or holding back our parenting love) to force through good behavior: "You're a bad boy for breaking your plate, go to your room until you can behave", positive conscious parenting goes the other way around by "GIVING" your child whatever it is your child needs. So, rather than being angry at my son for throwing his plate on the floor (even though it's darn irritating) I would try to spot the need behind this action. In relation to my toddler son his need would typically be choice related: e.g. he could be upset about something along the lines of: "Don't put sauce on my pasta. I want to decide where on the plate the food should be". Typical of my son is his need for having a degree of say in what happens to him. 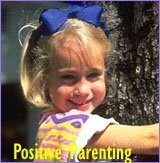 Other parenting strategies are positive discipline or positive reinforcement parenting. ... Abracadabra and That's What You'll Get! Your child will do all in his or her power to live up to your expectations ... good as well as bad. So, if you expect your kid to 'be bad', your clever child will quickly decipher that and deliver that to you. It sounds strange but it's true. It's the mirror effect again! The other way around, if you expect your child to be happy and respect you, your child will do his or her very best to live up to that as well. 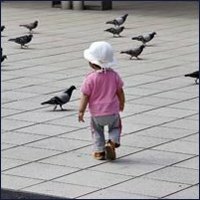 Benefiting from the mirror effect - giving your child the best you have to offer - to bring out the best in your kid is the real power of conscious parenting. Please, Make a Choice of What You Want in Your Kid! Because of the power of the mirror effect, everything starts with you, the parent. So, what is it YOU want? What is it you want your child to learn and feel? The best thing you can do is to make an overall choice and try to stick to it. When I had my son, I made the choice of always trying to fulfill my son's needs whatever they would be: love, touch, respect, understanding, choice-making, security, comfort etc. This was a very conscious decision! Even though it may sound unbelievably tough on the parent, making this overall choice has made parenting really, really easy. Because when my child does not have many unmet needs, my child does not have any reason to 'misbehave'. Positive and conscious parenting is actually a very, very simple parenting style. Meeting your child's basic needs! Finding out what the need is and then creating a supportive environment to help the child or adult meet it. So, What Is It Your Child Needs? Well, at the most basic existential level, all you kid wants is your unconditional love and unconditional acceptance ... also when your child is 'being naughty'! Okay, you may ask, does this mean that I should just accept bad behavior? 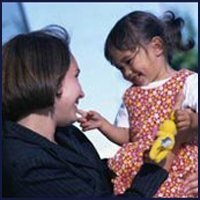 What it means is that you need to accept your child - which means separating your child from his or her behavior. I want you to imagine that you have two pairs of sunglasses in different shades that make you see the world in different colors when you put them on. Okay, first put on the shades that have been colored by the 'old fashioned parenting' spirit. You will now see your child throwing things around, yelling and refusing to listen to you. These sunshades will make you think that your child is misbehaving and being naughty and disobedient. 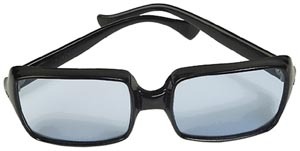 With these shades on you will probably yell back, perhaps even spank your child to make him or her stop. Perhaps you'll hold back your affection for a while and send your child to his or her room as a way to punish your child. You will now see your child - not as misbehaving - but as frustrated or sad because your child needs something or is in lack of something. Notice the difference between the different parenting perspectives? 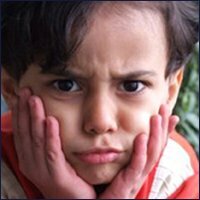 Misbehavior (which is basically a judgment) vs. tuning in to feel that your child is angry or sad? Perhaps your child needs to be seen, heard, understood or respected or perhaps he or she just wants to feel unconditionally loved and accepted. E.g. being calmly present waiting for an opening to hug your child, gently talking to your kid to see if you can find out what the need is, showing respect by looking deeply into your kid's eyes while explaining why you said 'no' to something etc. 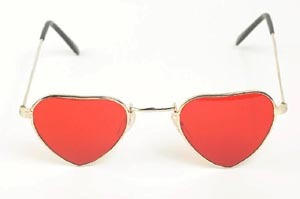 Do you see why the label, "naughty kid", doesn't really make sense when you wear these shades? A "naughty child" is probably just a child in need of something. Therefore when your child is 'misbehaving', your child will need more love, need more attention, not less love or less attention. Providing unconditional love no matter what the circumstances are the central core of unconditional parenting. Okay then, how do we meet the need of our child? We 'tune in'! We become deeply present right here right now! We use our common sense and strong parental gut feeling to decode what on earth is going on. And then we do whatever it takes (even if it goes against what we've been told is the correct way of disciplining children) to fulfill that need! This unconditional fulfilling of needs is the strategy of positive parenting's intuitive sister, attachment parenting. 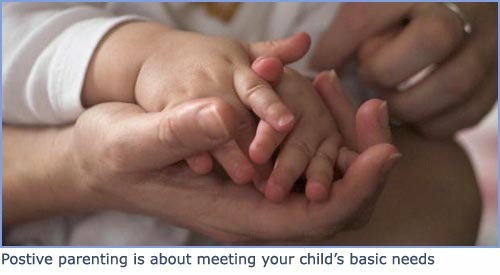 Attachment parenting is about tuning in to your child to be able read your child in order to get to know your child. In this way positive parenting and attachment parenting are less concerned with questions of ways to discipline a child because 'making things work' is not a question of discipline. It's a question of love and connection. When you really connect to your child and provide your child with what he or she really needs, 'discipline' in the old fashion sense is unnecessary. When you respect your child, your child will respect you and discipline becomes superfluous. For some strange reason treating one's child with respect is very often confused with being a weak parent or practicing permissive parenting. Respect means treating your child as a 'real' person. A person with dignity entitled to be seen and heard. A person that shouldn't just be overruled because 'we think we know better just because we're older'! Respect can be transmitted in a number of ways. Often it's most clearly found in our manner of speaking and our tone of voice. In your parenting talk, addressing you child as an equal doesn't mean that your child can get away with anything or get whatever he or she wants. No, good parent child relationships are about listening to what your child actually has to say and about responding in a respectful manner. For instance, when my toddler son was only two he could be really upset if I just said 'no' to something and provided him with no further explanation. He couldn't understand why and just being told "no" made him really frustrated! However, if I went down on my knees, gave him my full presence and attention, looked him deeply in the eyes and explained, "I'm sorry but you can't go out without your jacket on because you will be very cold. Perhaps you'll even get ill and that is not fun at all. So, Mom needs to put your jacket on you to keep you warm and comfy." Now, my son didn't understand all that I had say but what he did understand was my positive intention and my respect for him. He understood that he was found worthy of an explanation and he understood that what I had to say was of such importance to me that I wanted to share it fully with him. Doing this ... treating him like a person ... had an amazing effect. I respected his need for being properly addressed and he in turn respected my need to give him his jacket on. The power of the mirror effect again ... you see? Of course children need overall rules, routines and guidelines. Knowing how things work and what to expect helps kids feel secure. This existential feeling of safety is necessary for them to want to fully explore the world and develop their skills. However, an important part of raising responsible children is also allowing them to take on a degree of responsibility. Responsibility seen through the old fashioned parenting style lens would typically be: 'You must do the dishes to learn the responsibility of housekeeping'. Here responsibility is typically seen in terms of obeying orders by taking on 'adult' chores. If you want obedient adults that are good at following orders, this is the way to do it. However, responsibility seen through the lens of positive conscious parenting is about teaching your kid to take responsibility for his or her own life in a much broader sense. So the big question in relation to child discipline is how do we have rules while at the same time being flexible so there is space for our child's choice-making? Also, how do we respect our child's needs without compromising our own? 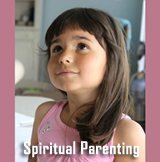 See how to deal with this typical parenting issue and get valuable insight into how both you and your child will get what you both need (as distinct from what your child may think he or she wants)! Basically the key is that you, the parent, decide the overall framework because you know what is needed on an overall level but you allow your child to make choices within your framework. Quotes are powerful because they state so much truth is so few words. Here are some inspiring quotes on discipline that take parenting to a higher level.